Silicon Valley has a reputation for disruption. But in 2018, it’s the one being disrupted. The area’s cost of living — particularly rent prices — have made headlines for years as the worst city for affordable housing in the nation. Now there’s a new headline: Tech talent is increasingly leaving the Bay Area for more cost-friendly tech hubs, and we have the data to prove it. As massively high-powered and well-funded tech companies have rushed into the Bay Area over the past few decades, the cost of living in the area has soared. In 2015, for example, a worker who made $100,000 per year out of a three bedroom in San Francisco at its median price of $5,125 would pay 100 percent of their post-tax salary towards rent. And those numbers are hovering at around the same price or even a little bit higher, according to the latest December 2017 numbers. Yet the area is huge for the tech talent and the industry they love. In 2016, the Bay Area alone boasted a GDP of $781 billion, which topped the entire economies of Sweden, Saudi Arabia, and the Netherlands from the same year. However, that strong GDP might not last without the tech workers who helped it get to those heights. A new study from job search giant Indeed.com has just revealed that, across the two-year span from September 2015 to September 2017, tech job postings on the site decreased by 18.14 percent. Given the search site’s status as the world’s largest, this data sheds some light on the inner workings of Bay Area tech jobs. A drop in job postings is a strong indicator of a lack of future growth, particularly when paired with a rise in job postings in other, more cost-conscious metro areas, as a blog post on the data by Indeed’s SVP of Product, Raj Mukherjee, explains. “According to our data, Seattle is the big winner when it comes to tech job growth, with close to a 11 percent change in its share of the nation’s tech job postings between 2016 and 2017. The D.C. and Baltimore areas also had impressive rates of growth, with increases of about 3-5 percent each,” Raj writes. Also worth noting from the Indeed report is the fact that over 15 of the 18.14 percent dip in postings occurred during the first year, leaving just a 3-point drop between September 2016 and September 2017. Still, the end result remains clear. While Silicon Valley is still drawing in plenty of buzz-worthy tech talent, the sheen has worn off. And plenty of anecdotes highlight the human impact over just the last year. Cyber security exec Robert Wood’s position at an early stage San Francisco company originally allowed him to commute from Orange County by flying in and out on Mondays and Thursdays, respectively, with supplementary remote work. But he was then forced to move into the city proper. “I started to get a huge amount of pressure applied to me by this manager telling me I needed to be living up in the SF Bay Area to effectively do my job, as I was leading a security program at this organization,” Robert told me. “We ended up giving in to the pressure and moving our lives up to San Francisco. My wife changed jobs as a part of this and I was in the office on a daily basis. We moved with two large dogs which was incredibly hard to find a place at a reasonable price in the city that would even accept us. We were making more money collectively than we ever have in our lives but somehow we were still living paycheck to paycheck. We ended up only staying in San Francisco for a year and a half but we blew through all of our savings and racked up some credit card debt just trying to keep up. During this whole period of time, this manager still rarely ever showed up in San Francisco themselves and nothing about my day-to-day role at the job changed, in fact, it got even more stressful because of all the newfound stress I was experiencing at home. Robert and his wife eventually moved to the DC metro area, forsaking California entirely for a mortgage that amounted to “just a bit over half” of their downtown San Francisco rent. Of course, the new tech company he now works remotely for is based out of San Francisco, proving that the siren call of the city is impossible to ignore for long. 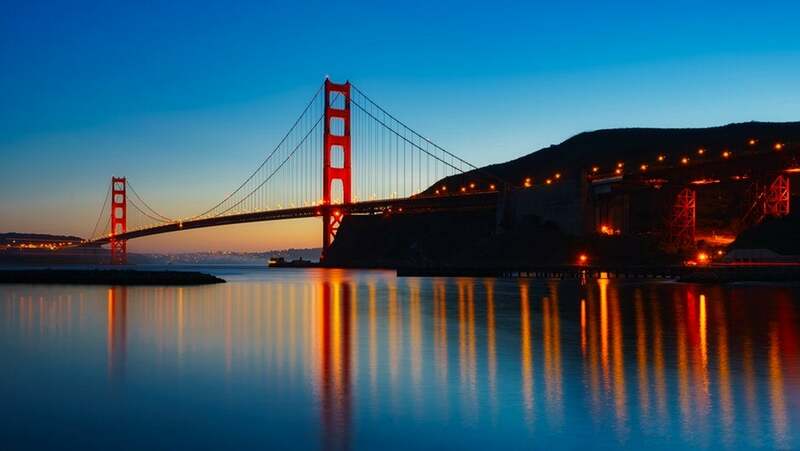 Another workaround: Driving over two hours for a one-way trip into San Fransisco, which is what Sacramento-based marketer Christina Kumar — and many of her peers — opts for. “It is inconvenient and the parking is very difficult to find, but along with peers who also drive this long commute; we have to do it because the area is too congested to be able to live in full time,” Christina said. Even Ex-Googlers aren’t immune to the cost of living, as Open Listing‘s Kevin Miller attests. “I spent the last 5 years in the Bay Area and ultimately had to leave due to incredible living expense: Even working full-time at Google was not enough money to truly live comfortably,” Kevin said to me. Kevin even notes that the lack of tech industry saturation offers a few advantages, such as being able to more easily recruit top tech talent without competing against Uber, Twitter, and Square offices all on the same block. The Bay Area may never lose its spot as the biggest community for tech talent in the U.S., but if the job postings are to be trusted, the past two years have officially marked its peak. Read about the inverse problem: How Seattle’s tech boom is spurring conversations about inclusivity.